LAFAYETTE -A Lafayette-based pizza restaurant has received a major honor. Arni's, which was founded in 1965 and now has 18 locations throughout Indiana, has been inducted into the Pizza Hall of Fame. PMQ Pizza Magazine, which runs the Pizza Hall of Fame, says the designation aims to celebrate America's oldest and most beloved pizza restaurants. Arni Cohen purchased an existing Pizza King franchise in 1965 and later broke off to start his own company, which he called Arni's. His sons Kurt and Brad, are now the co-owners of the company. 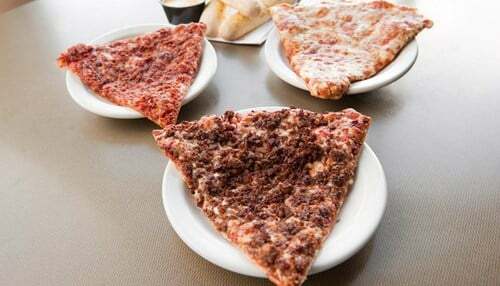 Arni's joins Tony's Place in Valparaiso and Bruno's Pizza in West Lafayette as the only Indiana representatives in the Pizza Hall of Fame. In March, Arni's also received the Governor's Half Century Business Award for its more than 50 years of service. You can learn more about the Pizza Hall of Fame by clicking here.